Glenshee, Scotland, United Kingdom. 3 February, 2018. New snow falls at Glenshee Ski Centre in the Cairngorms brought many skiers eager to enjoy the good calm conditions. Weather is expected to be good for the rest of the weekend and large crowds are expected to take advantage of excellent conditions. 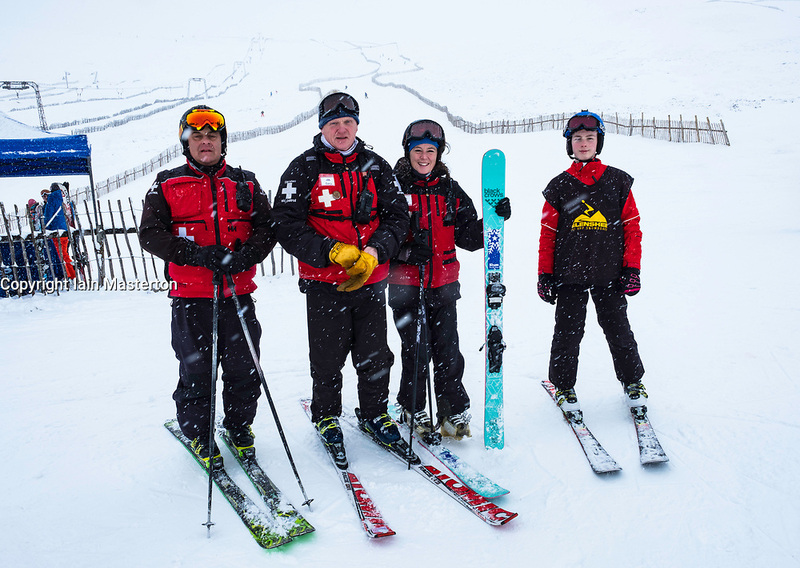 Pictured Glenshee Ski Patrol members.